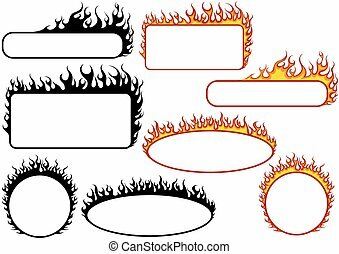 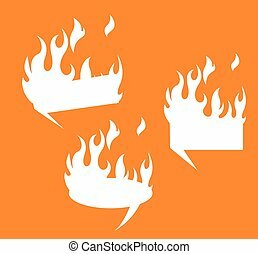 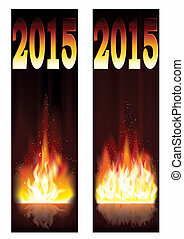 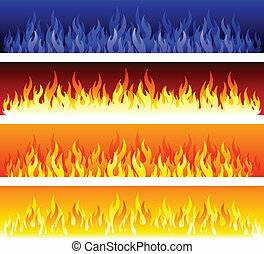 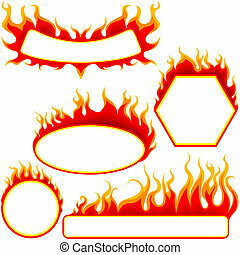 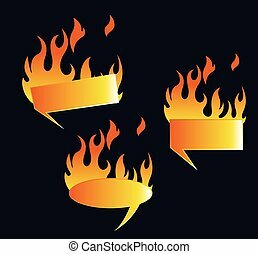 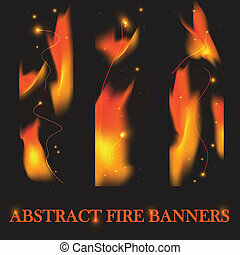 Fire banners. 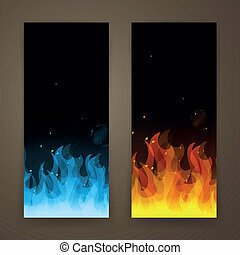 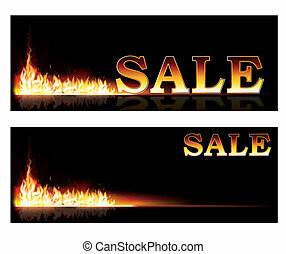 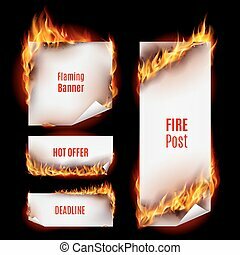 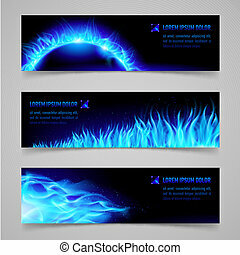 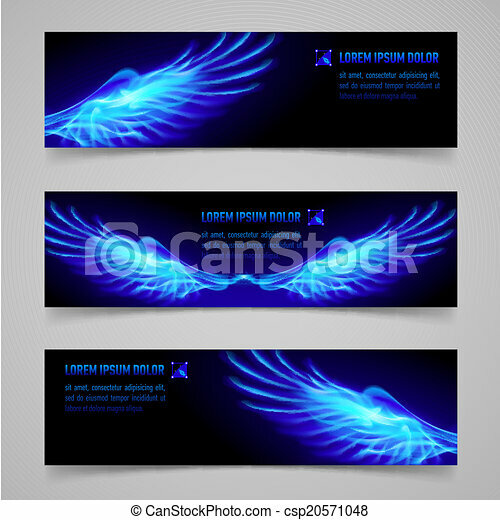 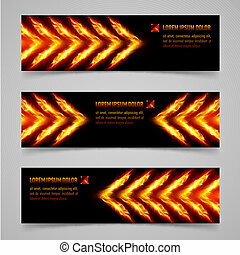 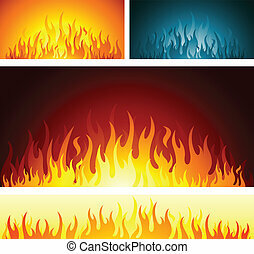 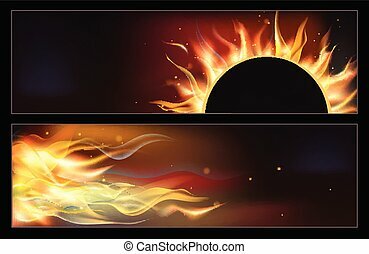 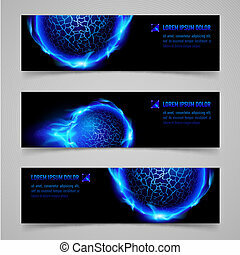 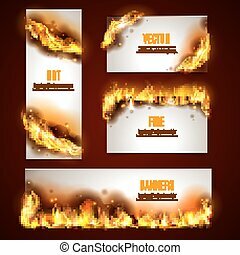 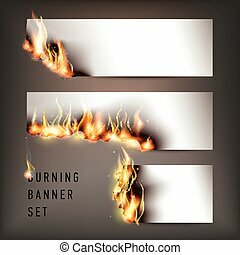 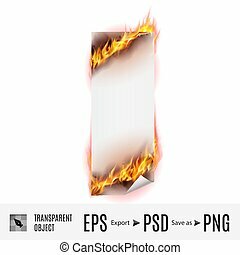 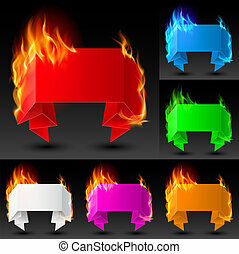 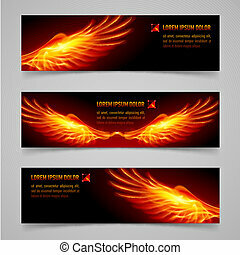 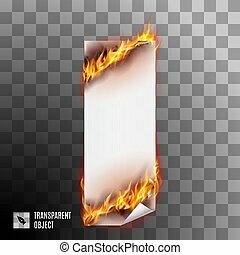 Mystic banners with blue flaming wings for your design. 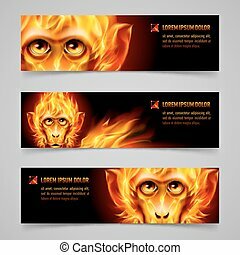 Tornado and forest fire banners. 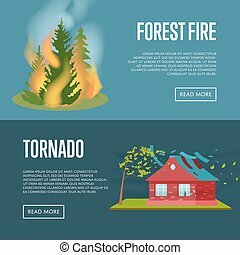 Natural disaster concept, danger regional catastrophe, dangerous weather and extreme climate. 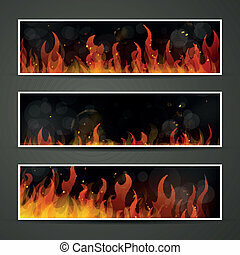 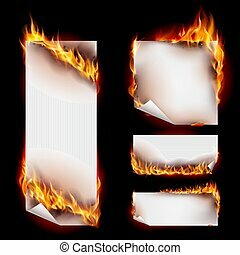 Warning about emergency situation vector illustration in cartoon style.